Learning about the fellow creatures that share the planet with us is always of interest to me. 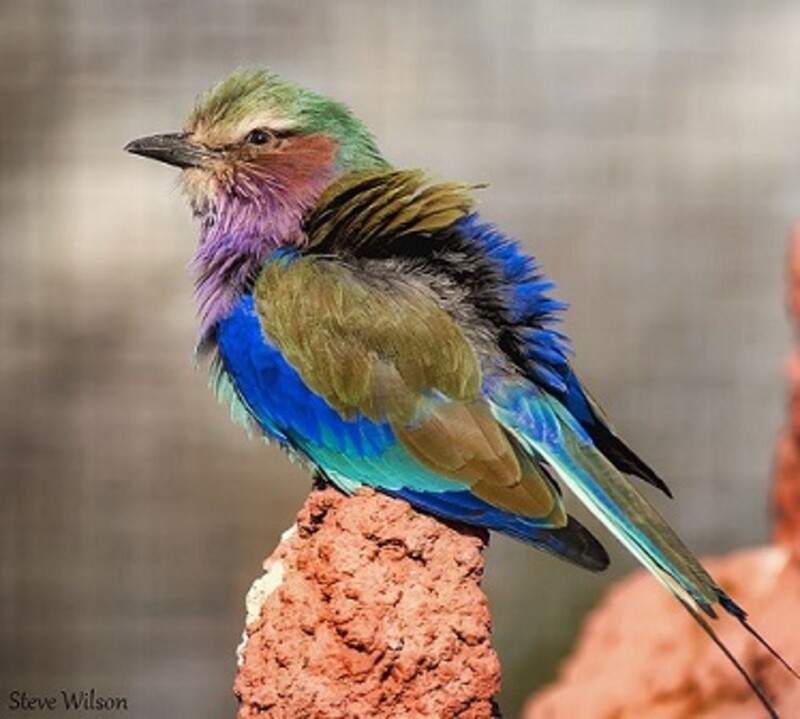 When I read about this spectacularly colored bird in our newspaper today I was amazed at its stunning plumage and had never heard anything or known anything about this bird located in Africa, so I thought that others might also enjoy information regarding it. 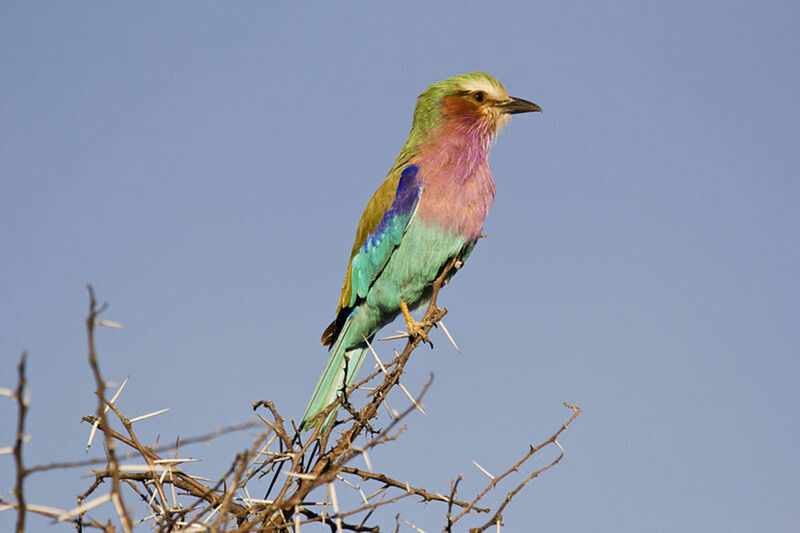 It is the national bird of Botswana and Kenya and its contrasting colors probably has photographers with cameras and birdwatchers with binoculars happily engaged when spotting it. 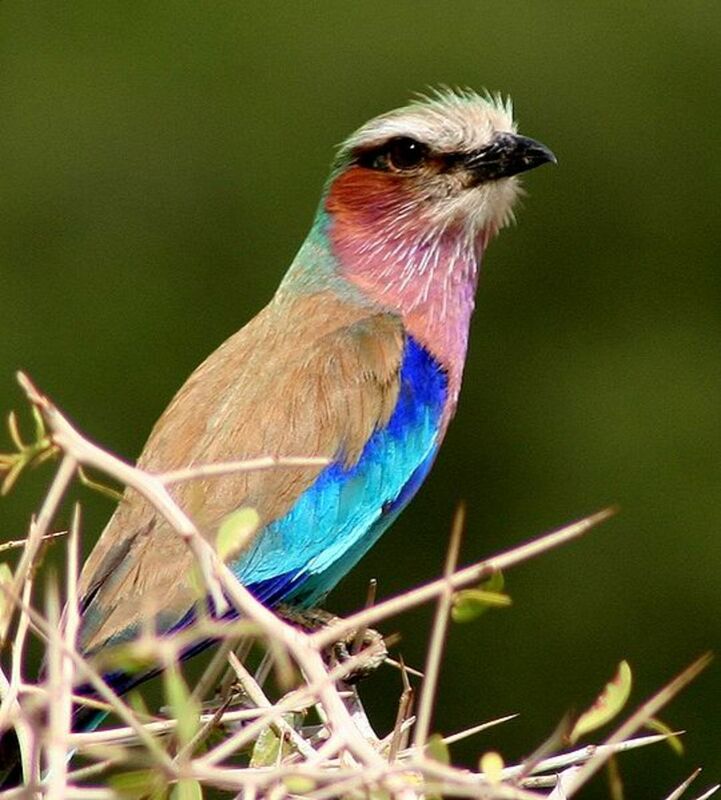 I know that I would love being able to see such a magnificent multicolored bird flitting about in the wilds of nature. They range in eastern and southern parts of Africa. Apparently it gets its "roller" name from its aerial antics during breeding season. 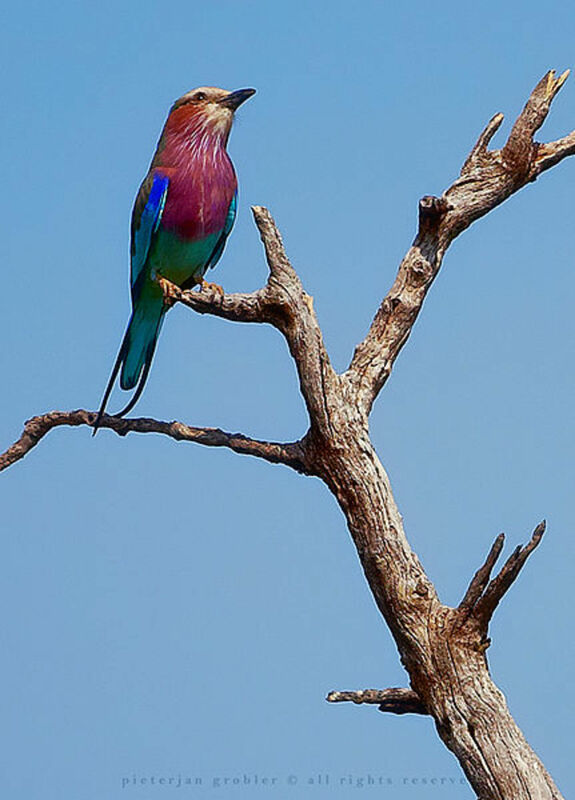 Lilac-Breasted Roller Bird is the National Bird of both Botswana and Kenya. The male bird flies high and then plunging back towards earth it rolls back and forth before finding a perch near the female he is courting. That is quite the courtship dance of sorts! Like some other birds, these lilac-breasted rollers mate for life and both birds help incubate the eggs and help feed them after they are hatched. There are normally two to four eggs in the nests at one time. Nesting often takes place in abandoned termite mounds or even in holes made by woodpeckers. They eat insects, snails, small lizards, mice and even small birds often swallowing them whole. Their size is about 14.5 inches in length. 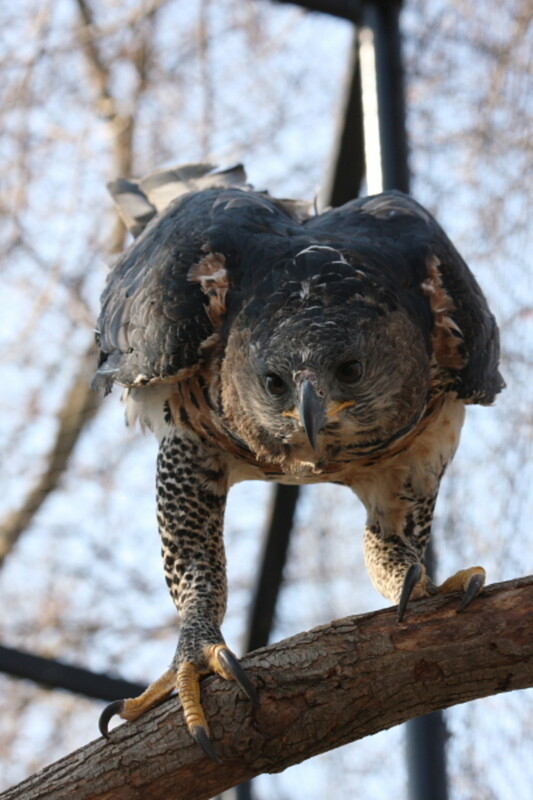 Perching on trees and the upper parts of bushes in open grasslands is their preferred territory. 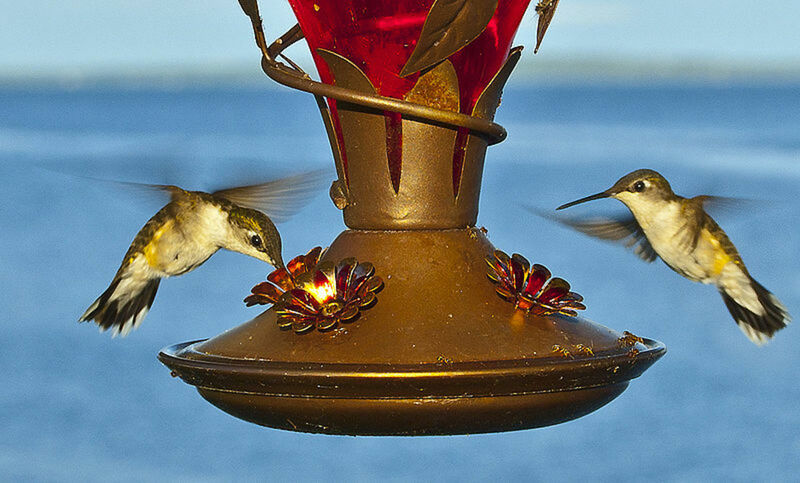 They fiercely defend their territory from intruders which includes larger birds. Unlike most birds where the male has the more vivid coloration and the females are more drab in hue, both the male and female lilac-breasted rollers are equally endowed with these gorgeous pigmented feathers. The remarkable colors include white, pink, lilac, cinnamon, yellow, black and various shades of green and blue. This YouTube video below shows this magnificent bird in flight. 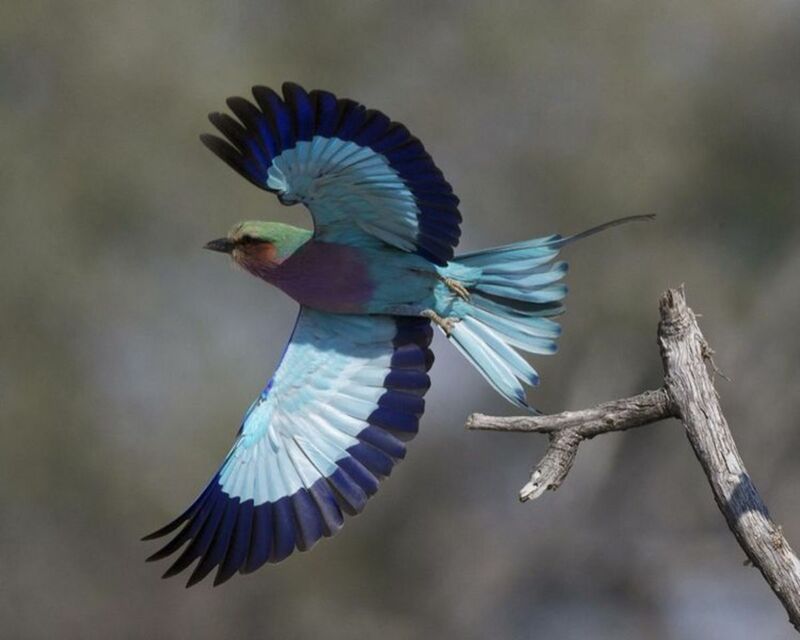 See amazing photos of the Lilac-breasted roller in flight. So very beautiful!!! 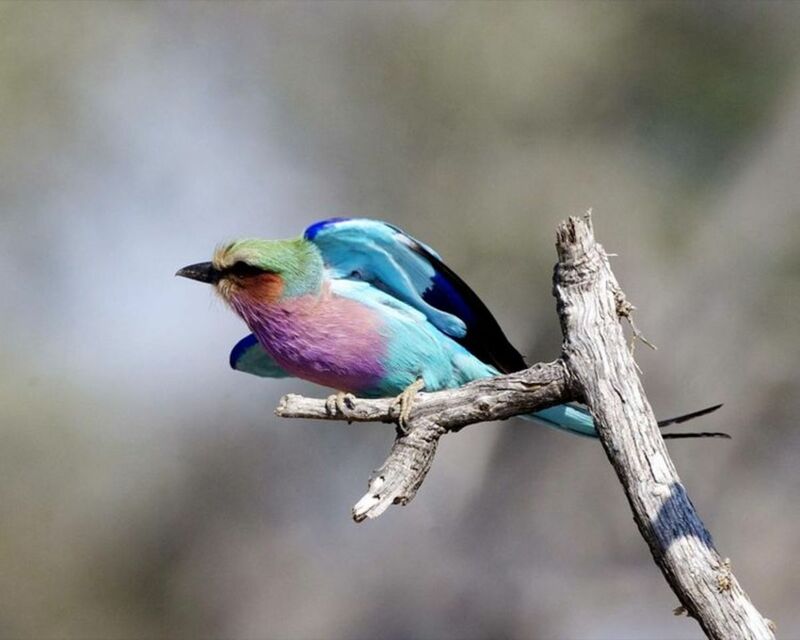 Were you aware that these Lilac-Breasted Roller birds mate for life? In this video below the balancing act on a windblown branch makes it look like this lilac-breasted roller bird is belly dancing! In this video you can listen to some vocalizations of this beautifully hued lilac-breasted roller bird. Have you ever seen a Lilac-Breasted Roller bird in person? No but I would certainly enjoy seeing one in person! Have you ever seen a more colorful bird? Yes...I will tell you in the comment section below. No I have not seen a more colorful one. These lilac-breasted roller birds are stunning! 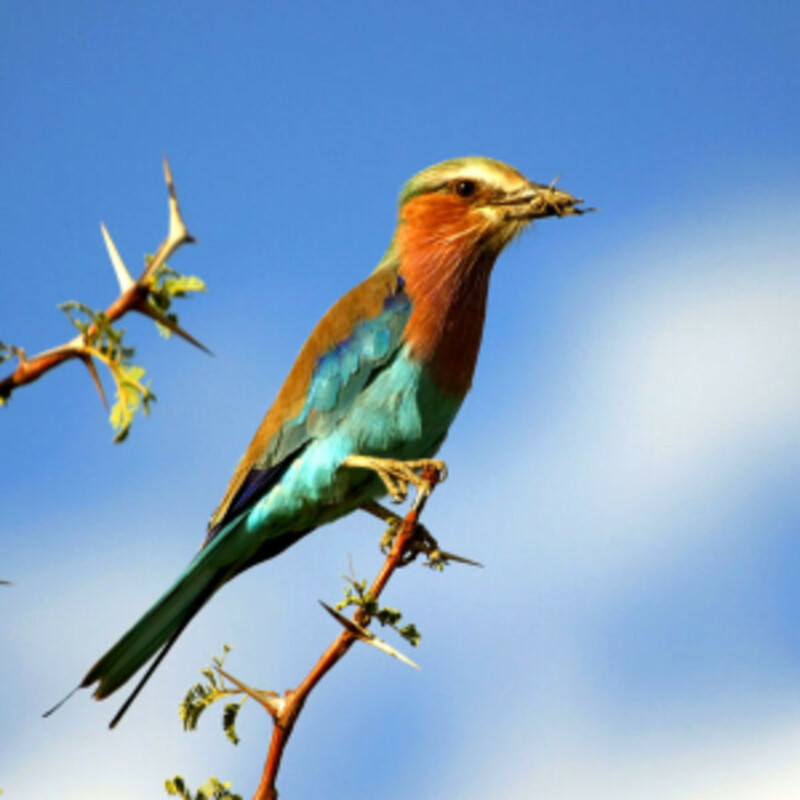 Glad you liked this article about the Lilac-Breasted Roller Bird of Africa and learned more about its eating habits. It certainly is a beauty! Lilac-breasted roller bird is a nice bird. It reminded me of the common kingfisher because it looks quite similar except it doesnt have the long pointed beak. Im shocked that this roller bird eats mice, its a thing which eagles, crows, hawks and owls etc would tend to go for as part of their diet. The common cuckoo eats hairy caterpillars, another nice bird with a bad taste in food. I guess birds are strange. Lovely article, will share and pin. I agree with your assessment. This is certainly a brightly colored bird. It indeed is an extremely colorful bird and good looking too. Thanks for sharing. It probably has its feathers fluffed up in some of these bird photos. I do think that this type of bird is a beauty with all of its various colors. Such a beautiful bird. Has a sleek body but an untidy looking head too. Isn't nature wonderful! 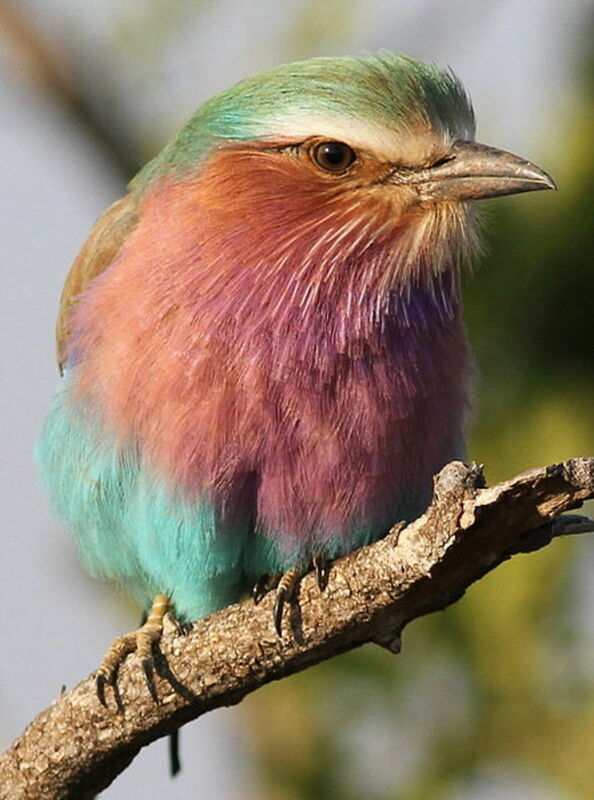 The lilac-breasted roller bird is certainly a colorful one. Your little grandchild Heston Wayne likes rainbows from what you have written. He would undoubtedly like the colors of this bird. What a beautiful bird...the video certainly showed to well the vibrant colors of the plumage. I was thinking it might be called rainbow bird due to the varied colors. Glad you found this to be interesting. It also interested me when I first heard about this bird. Oh, that's interesting. Thank you. In scrolling through your hubs I found the one you did on warblers and made a comment. Loved seeing all the different kinds of warblers you have in Oklahoma. I did a Warblers of Oklahoma, if you'd like to see that. Have you written about spring warblers? Would be interesting to learn about them. Appreciate your comment. Indeed, they are striking birds. 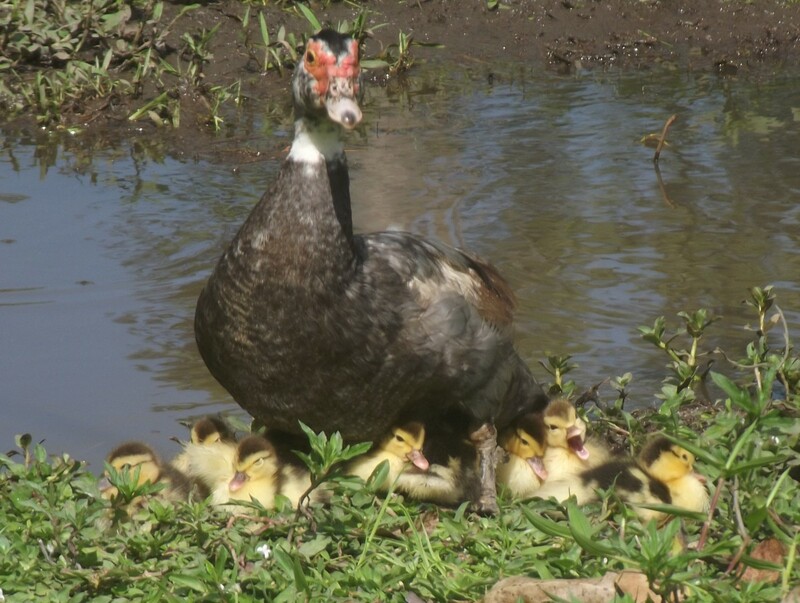 Our spring warblers are showy birds, too, but nothing like this. Happy to know that you enjoyed reading this. The photos are beautiful, Peggy! What a lovely bird. 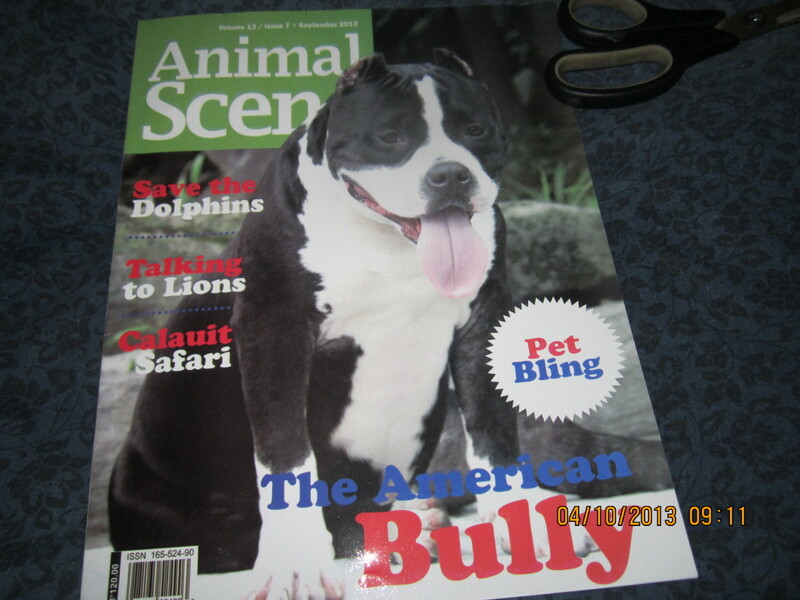 Thank you for sharing the photos and the interesting facts. So glad to know that you liked learning about the Lilac-Breasted Roller Bird. It certainly is colorful! So glad you found this of interest and thanks for the pin. 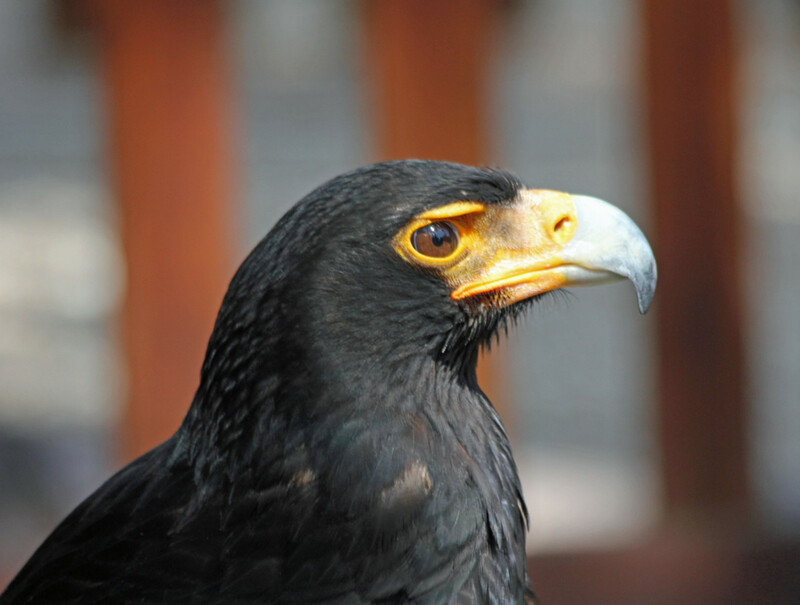 Hi Peggy, What a beautiful bird. I love birds and love to read about them. Thank you so much for showing this beautiful bird to us. I am pinning this. Yes, amazingly the female is just as colorful. I've been helping with mist-nets in South Africa and we saw (and held) some beautiful little birds that were being studied then, but I haven't ever seen this one! He seems quite a character. I was wondering, is the female as colourful, too? Gorgeous -- lookalike it's wearing a crazy quilt!